Seventeen-year-old William Hedlund’s favorite part of NASA's Space Camp is the simulators, from the one-sixth gravity chair to the mock flights and missions. He loves the in-depth experience—a taste of what it’s like for actual astronauts in training or in space. He's your typical teenager dreaming of space travel, except for one thing: He's blind. Hedlund, who is from Seattle, is one of the 750,000 people who have gotten a taste of astronaut training since Space Camp, held at the U.S. Space & Rocket Center in Huntsville, Alabama, was launched in 1982. It's a famous program; there was even a movie about it. 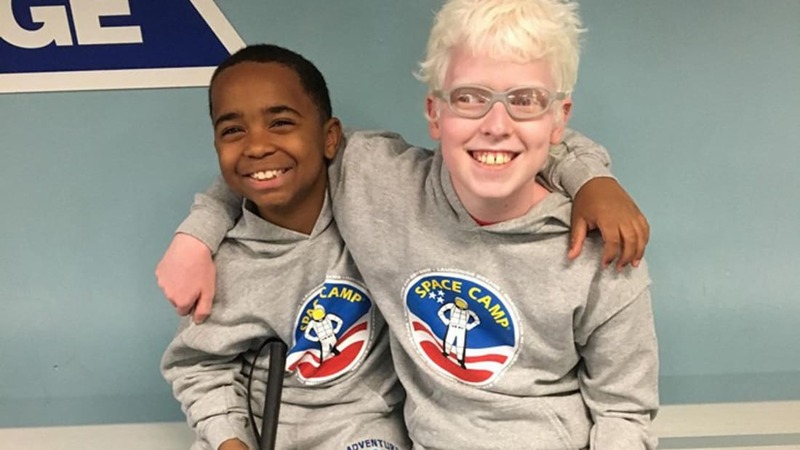 But few know about the tailored camp that Hedlund has attended for the past three years: Space Camp for Interested Visually Impaired Students (SCIVIS), a program for kids from 4th to 12th grade. During the weeklong program, participants stay in Space Camp’s dorm facilities, which are set up to look like "futuristic space stations," with tubular compartments and tunnels attached to a main silo, silver concave doors leading to dorm rooms with colorful bunk beds, and a cafeteria. 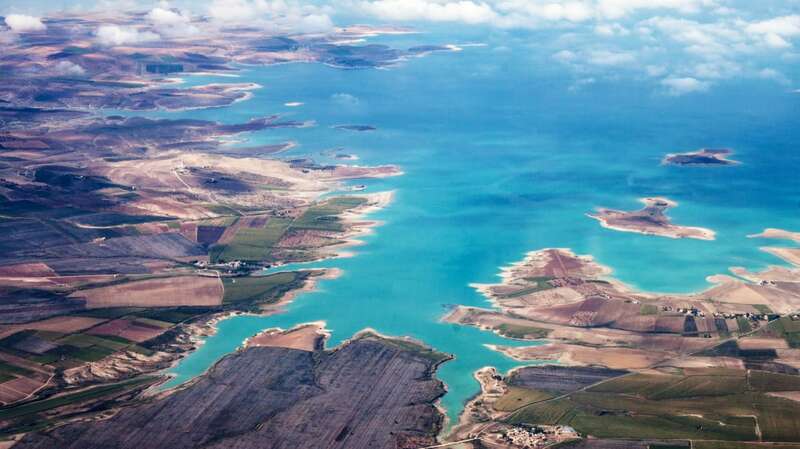 They spend their time on simulators, completing astronaut-training missions, and conquering physical challenges like climbing a rock wall and scuba diving. There's a graduation ceremony, too. Girls attending Space Camp walk together under the Pathfinder space shuttle exhibit at the U.S. Space & Rocket Center. Students come from all over the world, each with a chaperone—a professional educator from their school or district specializing in the education of the blind and visually impaired—who acts as a technical assistant for the staff. One of those specialized educators is Dana La Curan, an orientation and mobility specialist with the San Luis Obispo County Office of Education. La Curan brought two visually impaired students—a senior and a 7th grader—to SCIVIS in September 2016. The senior, who is blind, told La Curan that her favorite experience was scuba diving; she had never felt weightlessness before. The program tries to stick to the same camp experience nondisabled students have, including everything from the camp instructors to the manuals in use. The staff doesn’t get any special training, nor does Space Camp bring in a special team for the week. The instructors do, however, attend a pre-camp workshop or two on “blind etiquette,” La Curan tells Mental Floss. The pre-camp workshops are a way to avoid moments of panic—“Sometimes people are like, ‘Oh my god, I just asked a blind student if they could see something!’ and we have to tell them, ‘It’s OK to use that word,’” La Curan says—and to share some tips on working with visually impaired students in general. The chaperones with each student generally intervene only if needed. But the kids do get some equipment and materials that are tailored for their abilities. 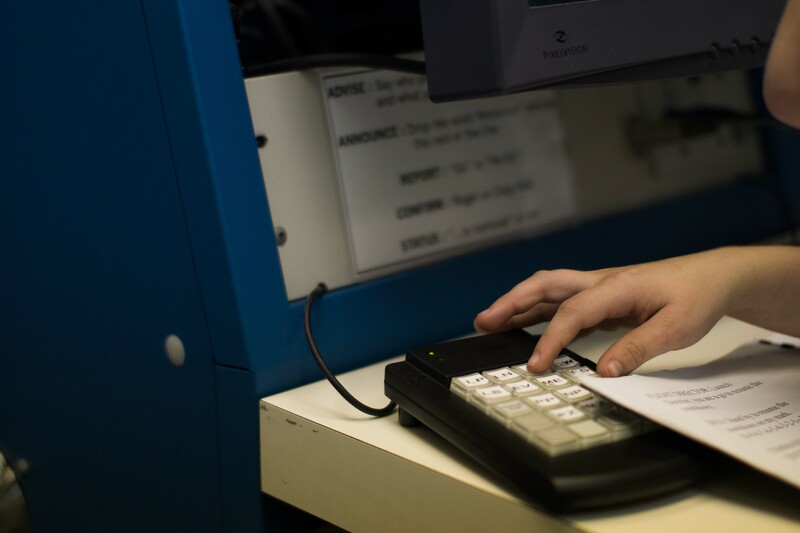 According to program coordinator Dan Oates, all the materials for the week are available in braille, large print, or electronic magnification, and the overall schedule is tweaked to allow more time for training. Before camp activities start, the students are screened to ensure the simulators won’t aggravate their eye condition. Once camp is under way, the Mission Control room has screen enlargement software and synthesized speech available, as well as braille keypads and special headphones that process two audio signals. 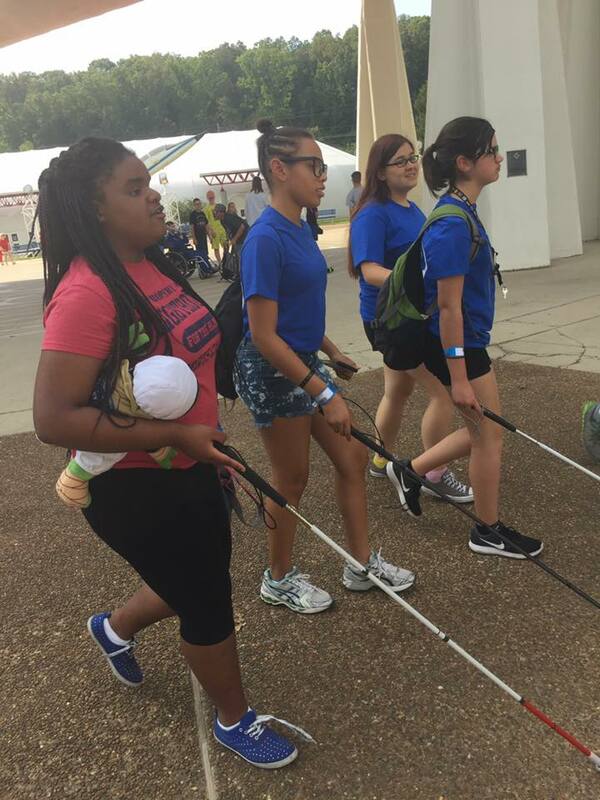 To help students with blindness or low vision, SCIVIS staff provides large-type manuals, magnifying glasses, and braille to help students with their Space Camp experience. 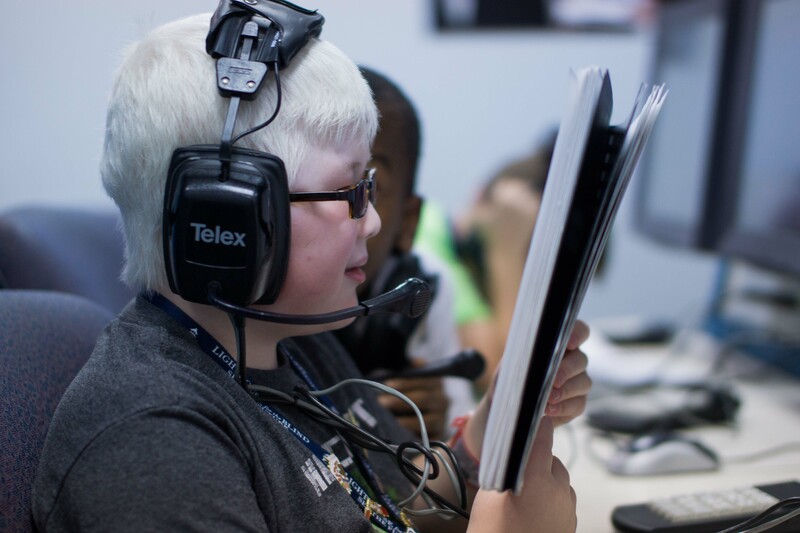 In this photo, a boy follows his part in the mission control script in a Space Camp simulated mission to the International Space Station. A key pad in Space Camp’s mission control is equipped with braille to allow blind students to participate in their Space Camp missions. Every challenge the students face focuses on empowering them, introducing important skills in addition to space-themed activities. The rock wall, for example, encourages use of spacial concepts not often used by kids with visual disabilities. A main theme is allowing the kids to complete the activities on their own. Students are paired up so they can play off one another’s strengths; for example, a blind student will be paired with one who can read large print. They work together (with aid from the staff and chaperones only if needed). That sense of independence is broadened by the opportunity to meet others battling the same issues. Many human social cues are visual—like making a face when you don’t like something—so blind and visually impaired kids tend to be shy, or have a slightly lower level of social skills because they can’t see those cues, La Curan says. But the kids coming to SCIVIS from all over the world are able to communicate without worrying about visual cues. Their particular challenges become normalized, and in some cases, they’re able to help each other overcome social awkwardness. Editor's note: This post has been updated with details about scholarship funding and a correction of the overall numbers of SCIVIS participants.